Over the past couple of years, I posted several articles using the JavaFrame property of the figure handle, which enables access to the GUI’s underlying Java peer object. Today, I show how using JavaFrame we can solve a very frequent user request on the Matlab CSSM forum. Matlab figures can be maximized, minimized and restored by interactively clicking the corresponding icon (or menu item) on the figure window’s frame (the title bar). However, we often need to create maximized main-application windows, and wish to save the users the need to manually maximize the window. Moreover, we may sometimes even wish to prevent users from resizing a maximized main window. Unfortunately, Matlab does not contain any documented or supported way to programmatically maximize, minimize or restore a figure window. This is very strange considering the fact that these are such elementary figure operations. Moreover, these operations are supported internally (and have been for many releases already), as shown below. It is therefore difficult for me to understand why they were not added to the documented Matlab HG wrapper functionality a long time ago. I fail to understand why obscure features such as docking were added to the wrapper, but standard minimization and maximization were not. Solutions that rely on documented Matlab features tend to compute the available screen size and resize the figure accordingly. The result is lacking in many respects: it does not account for the taskbar (neither in size nor in location, which is not necessarily at the bottom of the screen); it does not remove the window border as in regular maximized figures; and it often ignores extended desktops (i.e. an attached additional monitor). Maximized and Minimized are mutually-exclusive, meaning that no more than one of them can be 1 (or true) at any time. This is automatically handled – users only need to be aware that a situation in which a window is both maximized and minimized at the same time is impossible (duh!). Using FrameProxy for figure minimization and maximization works correctly on both old and new Matlab releases; using jFrame is slightly simpler but only works on recent Matlab releases. Depending on your needs you may choose to use either of these. They are entirely equivalent. When either the Maximized or Minimized properties are changed back to false, the window is restored to regular mode, which is the FrameProxy‘s RestoredLocation and RestoredSize. If and when JavaFrame does become obsolete in some future Matlab version, be sure to look in this blog for workarounds. You may also wish to inform MathWorks on the dedicated webpage that they have set up for specifically this reason (http://www.mathworks.com/javaframe), how you are using JavaFrame and why it is important for you. This may help them to decide whether to keep JavaFrame or possibly add the functionality using other means. Do you have a smart use for the figure’s minimization or maximization feature? or another use for JavaFrame? If so, please share your ideas in a comment below. The debugger, inmem and L=import reveal that the P-files shown on solution 1-3MY8PN call the same java methods as used by Yair here. Hiding the code in a P-file is not really helpful. The same problem appeared in WindowAPI, when the window is resized without setting the SWP_NOSENDCHANGING flag in the Windows-API function SetWindowPos. But setLocation and setSize of javaFrame.fFigureClient.getWindow() works as expected. Thanks, Yair, to help me to find this method! Using [-1,-1,eps,eps] is a nice trick to hide the figure window. However, it simply moves the figure to an impossible screen location (thereby hiding it) – it does not really minimize the figure. You can see this by right-clicking the figure icon in the task-bar – there is no “restore” option, just “minimize” and “maximize”. Still, I like the fact that this trick relies on the undocumented fact that [-1,-1,eps,eps] are acceptable parameters. 1) The following warning “Warning: figure JavaFrame property will be obsoleted in a future release” is presented. While this warning can be turned off, it is bad news to see that this functionality will not work in future releases. 1. The figure is not yet fully rendered and visible when you are calling the setMaximized function. Unfortunately, JavaFrame functionality is only accessible when the figure is visible and fully rendered. So, for example, if you place the call to setMaximized in your GUI’s *_OpeningFcn() function (when the figure is not yet visible), it will fail. Instead, place the call in your GUI’s *_OutputFcn() function. 2. Another possible reason is due to EDT effects. The easiest solution is to place a call to drawnow; pause(0.1); before you access the JavaFrame functionality (setMaximized or any other Java function). I’m a newcomer here on this fantastic page. @S – this is indeed the regular solution but it does not create true maximization of the window, like you would expect from any other regular application. Also, it does not provide a solution for minimization. For these reasons we need to use the mechanism that was posted in the article above. which simply resize the OUTER BORDER of the figure window accordingly to the size of the screen, and not truly maximize it (i.e., VISIBLE AREA resized to fit the entire screen). @Bob – you can indeed use a uipanel handle, rather than the figure handle, as the javacomponent parent. Read this article about it. Has anyone tried to use this when doing X-Forwarding through a SSH session on Linux? No matter what I do with changing the maximized or minimized Java state, it doesn’t impact what is going on with the window. Is there any way around this? but it gives the following error. The name 'JavaFrame' is not an accessible property for an instance of class 'root'. I’m in R2012b on Linux. However, I don’t know why your solution is still not a “real” maximization for my GUI: the taskbar are still there. I am using Windows7 and MatlabR2010b. @Bibo, in Windows the taskbar remains visible when you maximize any window in any application. >> Do you have a smart use for the figure’s minimization or maximization feature? or another use for JavaFrame? If so, please share your ideas in a comment below. .. and, most probably, it can be used to access most of features, provided by this submission: http://www.mathworks.com/matlabcentral/fileexchange/31437-windowapi too. ‘cdbd96’ is not a valid base class. Is there a way to wait until figure window is fully rendered before calling setMaximized()? This helped to achieve desired behavior. But the figure is neither maximizing nor any error is displaying. @Ayantha – I explained this in the Usage Notes section of the article – read carefully. Thanks Yair,It worked. For some unknown reason, it didn’t work with an inbuilt example of Matlab. But it worked fine with my own code. Thanks again and keep your good work going. @Terence – you cannot undecorate a Java Frame (figure window) using Java code after the JFrame is made visible, and you cannot access the JFrame in Matlab before it is made visible. In practice this means that you [probably] cannot do that with Java. However, you may possibly be able to do it using Windows API if you’re running Windows. For this you can try using Jan Simon’s WindowAPI utility. I tried to loop minimizing multiple figures with this ‘JavaFrame’ property. I works fine for minimizing the matlab desktop, the current figure and for a specific figure. But till now i cant loop these commands. So is there a reason why this code does not work? a = get(0,'children');    % is this the proper way to get the figures ??? The idea is that when i start a certain GUI, all other Matlab windows will be minimized. Then i just automatically minimize all, and then start my gui window. This would be my best case scenario. btw, nice site, learned a lot about matlab here. On figure creation, I would like to maximize it (easily done with your method) and then prevents users to change its size. 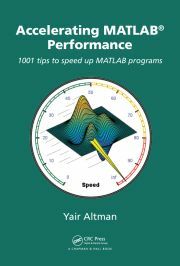 To do so I use documented Matlab function ( set(hfig,’Resize’,’off’) ). There seems to have a side-effect: figure is slightly maximized. That means inner borders of the window are at the limits of the screensize and the not outer borders.. Why ? It works fine until I double-click on the title bar (I am running Matlab R2014a on Windows 7 sp1). Then the window of my application shrinks to a small square (about 100×100 pixels) and there is no way I can maximize it again. @Luis – of course it does! what else did you expect? you created the figure with an initial size (Position) of 100×100 pixels, so when you de-maximize the figure it goes back to this size. Instead, create your initial figure with a larger size. Thank you for your help, Yair. Warning: figure JavaFrame property will be obsoleted in a future release. For more information see the JavaFrame resource on the MathWorks web site. Why does it work only if there is a breakpoint stopped at and not when I just run it non-stop like I’d want? @IA – Probably because the figure window is not fully rendered when the jFrame code is reached. This is due to the fact that in R2014b, the figure function no longer blocks execution until the figure is fully rendered. Yair, it works now. Just one little problem. It’s SO maximized that it covers up the Windows 7 task bar at the bottom of my screen. Is there any way to have it maximized but still have the taskbar show up? That’s the way maximizing normally works. Thanks. I didn’t know what that resize stuff was – I just had it in there because other code above did, and I thought I needed it. I just removed that line and now everything works great. Thanks for figuring it out for me! I wanted to use the maximize function to get the size of the screen on which a figure is shown (using multiple screens). And “manually” (step by step) this works, but in a function, this doesn’t! In debugging mode, executing it, it works too. When I first saw this, I thought: “simple: just add drawnow”, but that didn’t help. @Stijn – try adding pause(0.5) after the drawnow. If it works then you can play with the pause duration to find the minimal duration value that works well on your specific system. Is there any replacement for functionality?